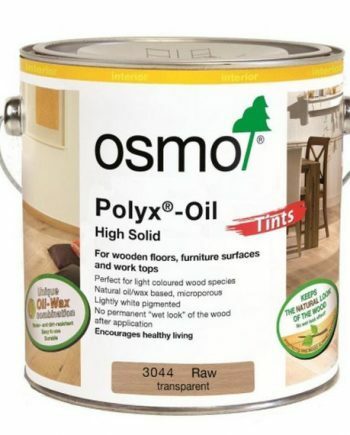 Wood finished with the original clear Osmo Polyx Oil appears slightly darker – a permanent ‘wet-look’. 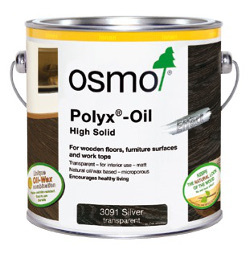 Great for any exterior projects.. Polyx®-Oil Effect, Raw (3044) prevents this effect. A minimal amount of white pigment is used to retain the natural light colour tone of the raw wood. Invisible protection. 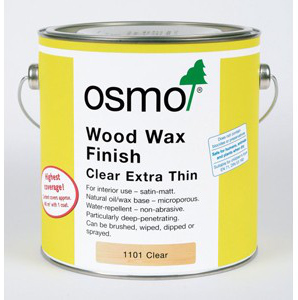 Wood finished with the original clear Osmo Polyx Oil appears slightly darker – a permanent ‘wet-look’. Great for any exterior projects. 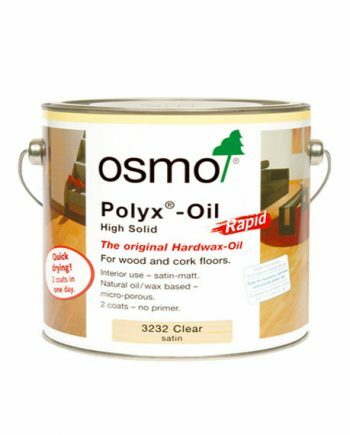 Polyx®-Oil Effect, Raw (3044) prevents this effect. A minimal amount of white pigment is used to retain the natural light colour tone of the raw wood. Approx. drying time : 8-10hrs. 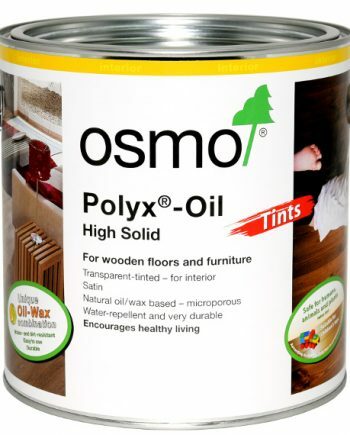 Ideal for wooden floors, solid or plank wood, strip parquet, OSB or cork flooring. 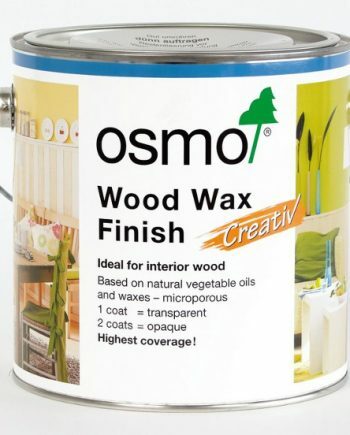 Also recommended for wooden furniture, joinery and doors. For exotic wood species use Wood Wax Finish Extra Thin. 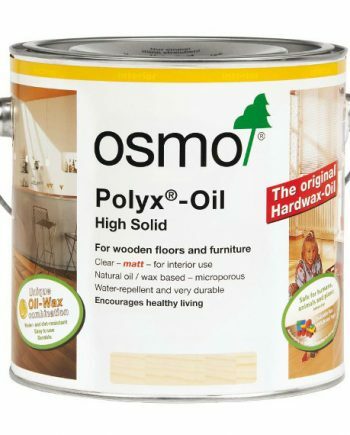 Polyx®-Oil Raw is designed for lightly coloured or raw wood only. If over-applied, the white pigments can be visible in some areas. 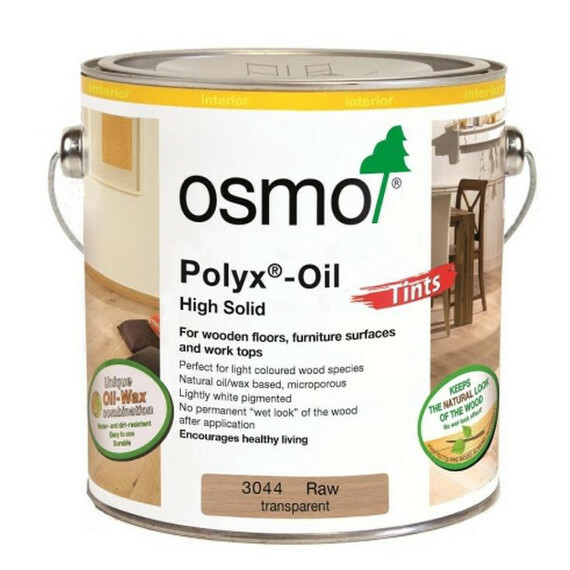 To see the full range of osmo products take a look here.